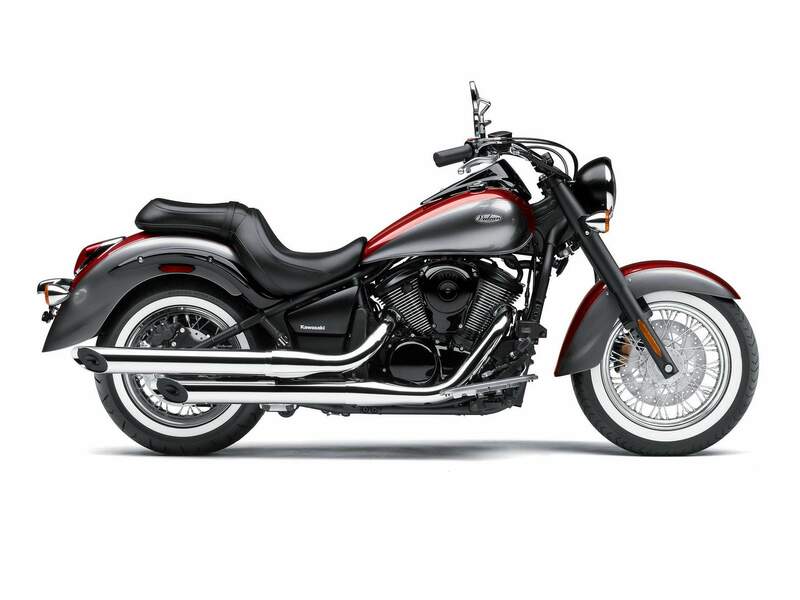 The Vulcan 900 Classic offers clean, flowing lines for a look as smooth as the ride that comes from the Kawasaki mid-size cruiser. Powered by a 903cc V-Twin, the Vulcan 900 Classic has the muscle to match its bold appearance, plush bucket seat and spacious floorboards for all-day comfort. Kawasaki continues the set the bar in the mid-weight cruiser category with its lineup of Vulcan 900 V-twin machines. Powered by a 903cc V-twin, an engine offering excellent performance, traditional styling and modern dependability, the Vulcan 900 cruiser satisfies the rider by delivering far more substance than anybody would expect. 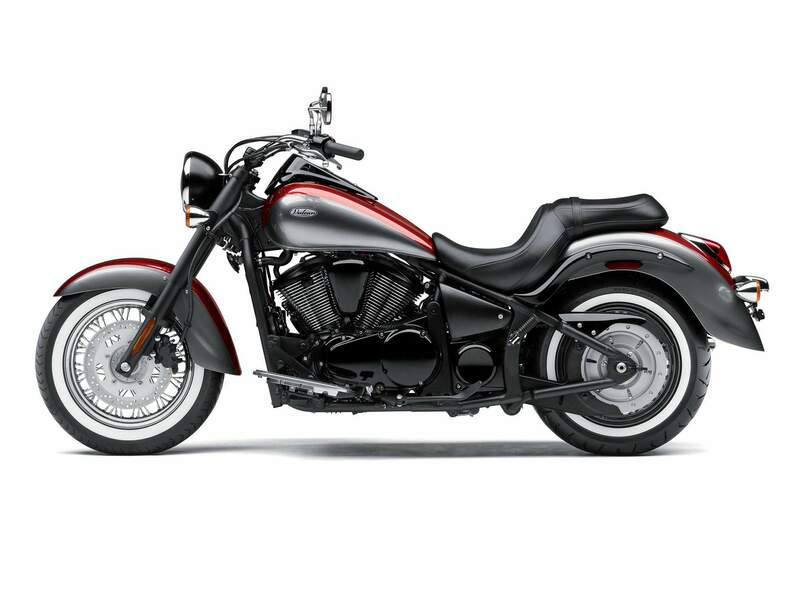 The Vulcan 900 Classic motorcycle is a mid-sized cruiser that offers a comfortable ride in combination with timeless good looks and a liquid-cooled V-twin engine. The motorcycle features dual slash-cut mufflers and a sound that stirs the soul as it cruises the boulevard. A rugged and reliable belt final drive on the Vulcan 900 Classic cruiser keeps the overall weight down and improves rear-end styling. The Vulcan 900 Classic motorcycle is equipped with floorboards, whitewall tires, classic spoked wheels and blacked-out trim details, giving it a timeless appeal. Featuring light, effortless steering at low speeds, this motorcycle is built for riding pleasure whether you are maneuvering around town or on the open road. 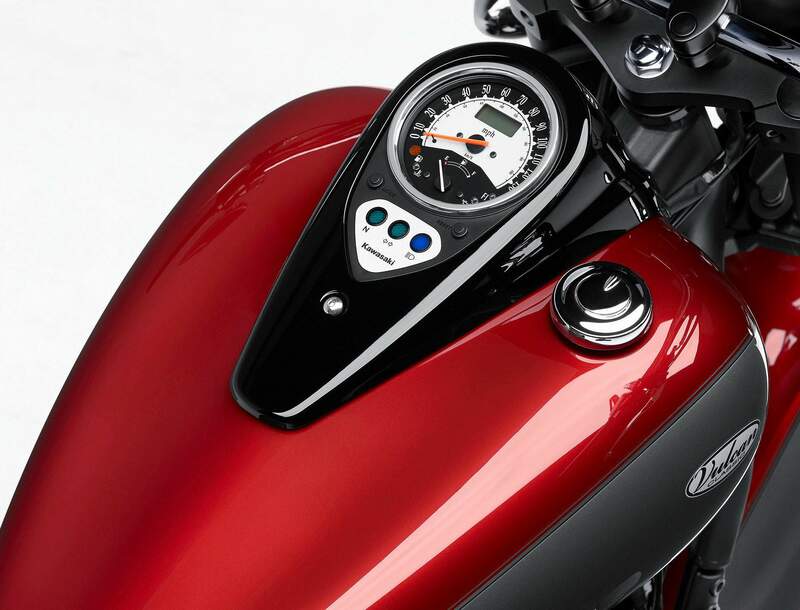 Additionally, the Vulcan 900 Classic’s low seat height and tapered seat design mean riders of almost any stature will feel comfortable and confident. With a wide handlebar and stabilizer placed in the ideal ergonomic relationship to the seat and floorboard layout, abundant hip support in the rider’s seat, as well as a long, wide seating area for the passenger, the Vulcan 900 Classic is comfortable around town or on the back-roads.